Orange Beach Condo for sale at Bella Luna– Bella Luna is the utmost in Gulf Coast modern Luxury! 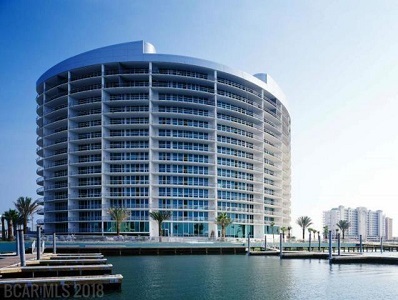 This spectacular 3BR/3BA unit is tastefully decorated with convenience, comfort, and relaxation in mind.This unit features a gourmet kitchen large master bdrm with jacuzzi tub.The unit features an over-sized balcony over looking one of the 3 pools and views of Old River. The amenities are second to none which include, 4 pools, 2 spas, marina, private owners lounge, movie theater & a world class work-out facility. There is deeded beach access with private walk way for guest & owners. $40K annually. Situated on the emerald waters of Alabama’s Gulf Coast, Orange Beach has a subtropical climate and miles of white-sand beaches and access to the interior waterways north of the popular beaches. Visitors can also enjoy a lengthy list of other attractions including Adventure Island, deep-sea fishing, numerous area Golf Courses, the Alabama Gulf Coast Zoo, Waterville USA, The Wharf and more. Enjoy the many popular Orange Beach like Voyagers, Cosmos’s, Ginny Lane, Louisiana Lagniappe, Cafe Grazie and more. There are many lodging options in Orange Beach as well – from vacation rentals by owners to luxury beach hotels, there’s something for everyone. Find the ideal condominium in Orange Beach and enjoy the outdoor coastal life.